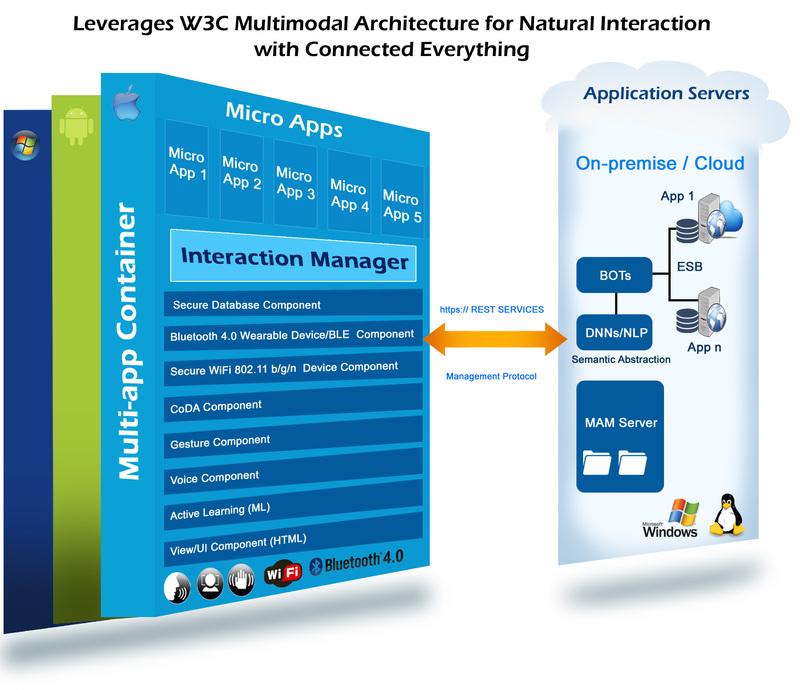 Openstream's multimodal technology platform is based on Context Delivery Architecture (CoDA) and follows the open standards from the W3C (www.w3c.org) and OSGi (www.osgi.org). Central to the approach is the ability to adapt to the delivery and preference context of the users in facilitating interactions that are rich and meaningful. Following these design objectives, applications built using this context-aware technology platform will allow user-interaction through speech, gesture, type & tap. Applications can be designed to leverage rich context-based interaction and peripheral accesss and will be able to adapt to the network-connectivity, presence and other ambient conditions. Being Digital: the post-app era. An Openstream Position Paper.